But here’s the thing: for the past month or so my computer has been slugging along and I never really took the time to figure out why. And to be more exact: it wasn’t the computer itself but rather my browsers. My main go to browser is Google Chrome. I have Microsoft Edge and Firefox Quantum but I still use Chrome because I’m used to it and all my extensions live there. Sometimes rebooting my computer would temporarily speed things up but it didn’t always fix things. Now before I get into my issue and how I fixed it I need you to know something about me. I used to work the Help Desk in college and I did Tier 2 and Tier 3 technical support at IBM as my first job. I know how this stuff works. But what really pisses me off is when I need to use Help Desk skills on my personal computer. It’s like I have this innate believe that tech guys should be immune to computer problems. It’s like I’m blaming God saying, “Hey, this can happen to everyone else but not me! It’s not fair!” wha wha wha! And then I start whining like a baby. So whenever my computer starts acting weird I usually don’t apply the same critical thinking skills to my personal machine that I do to a client or customer. Anyway, over the past few weeks my browser would continually say, “Resolving Host” in the status bar. It was the most annoying thing in the world. I pop open Google Chrome, and it says, “Resolving Host” in the status bar. And it just hangs there… it doesn’t matter if I refresh the page or close and open the browser, Chrome is stuck in “Resolving Host“. After a few minutes it would sometimes fix itself but I couldn’t find any rhyme or reason to it. So here’s the thing – if you’ve ever experienced this error the first thing you need to fix is yourself: stay calm. There is hope. Resolving Host means there’s a problem… resolving the host. To be more precise, it means there’s a problem with DNS. The Domain Name Service, is the internet service that’s responsible for translating domain names, such as fixedbyvonnie.com to an IP address. If this step fails you’ll never be able to browse any where. 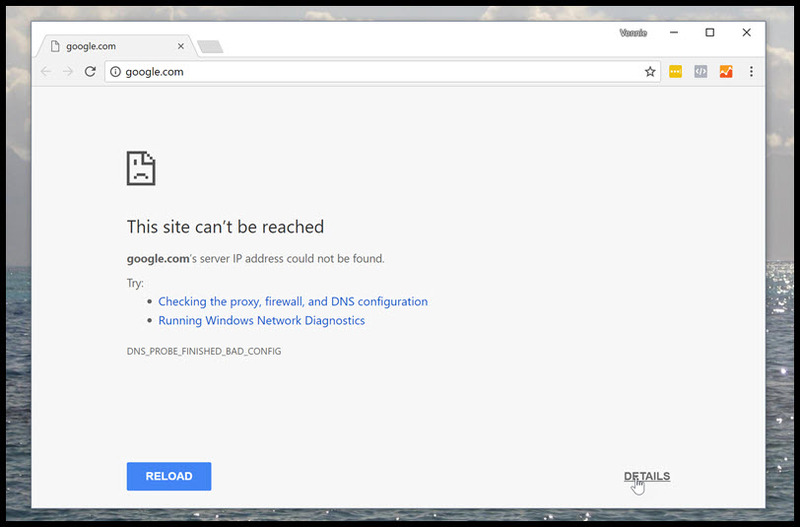 google.com's server IP address could not be found. And yes, I actually clicked the “Checking the proxy, firewall, and DNS configuration” and “Running Windows Network Diagnostics” links and neither helped one bit. First we need to open an elevated command prompt. Hit the Windows Key, type “cmd” and press Ctrl + Shift + Enter. 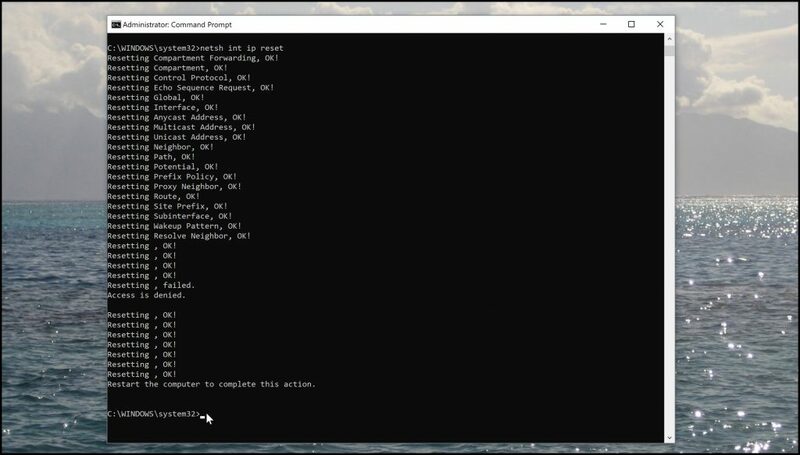 This is a quick way to open the command prompt as an Administrator. Now we’re going to flush the local DNS cache on your system. If the local cache gets corrupted it can affect your ability to browse the web because the name-to-IP mappings will be invalid. Alright, good now we need to use netsh to reset your IP settings. netsh is a command line scripting utility that system admins use to automated tasks and configure various aspects of the local computer. We’re using this magical tool to reset our TCP/IP protocol stack. This trick is a lifesaver – it saved my but tonight – and that’s why I’m sharing it with you. After it completes it’ll ask you to reboot. That’s a zero not an “oh”. It says, restart the computer and wait zero seconds. In other words, do it now. When the box comes back up all should be well. 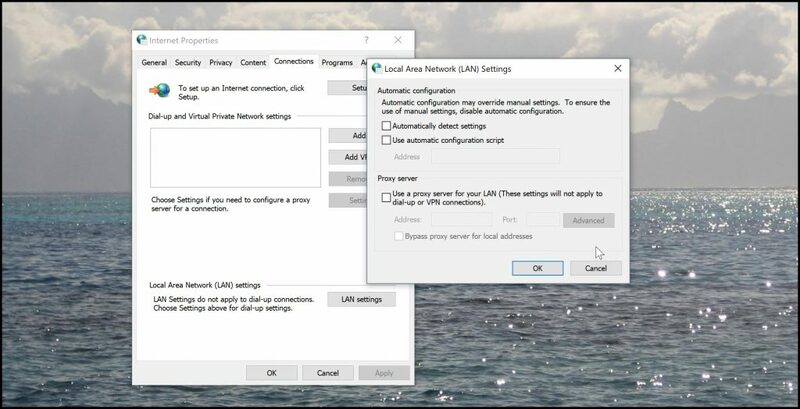 Secondly, make sure you’re IP and DNS settings are set to use DHCP. If you still have the problem after making this change, either reboot your internet router or manually change your DNS server to 8.8.8.8, 8.8.4.4 or 4.2.2.2. Sounds crazy I know but just do it. Sorry to sound mean – but it works. Alright that’s all I have I hope this was helpful – if it was remember to share this post with your friends and leave a comment! Thanks! Oh yeah, and Happy New Year! hehe. Flashing the local dns fixed my problem. Thank you!!!!!!! Nice share! You could add that the 8.8.8.8 and 8.8.4.4 ip addresses are Googles open DNS servers – this bypasses your local isp’s DNS. Additionally for Mac users go to sytem settings > Network > advanced > dns and change them there. You’re a lifesaver! This fixed the problem for me. Thank you! Thank you, thank you, thank you. This was driving me crazy. oh my God. I have been racking my brain trying to get this to stop. Got mad today and started using search in explorer. found you! FINALLY. Someone who knows what to do! Now if I could just stop landing on black screen until the stupid desktop decides to show itself…..I would be doing great! But for now, I will settle for fixed resolving host! Thank you!!!!! still no resolve to resolving host. The only thing I have not done was blast my computer with a 12 gauge shotgun. EVERY fix has been tried multiple times and will ‘fix’ momentarily at best. Very good content to readout thanks for sharing and keep up the good work. Amazing site for the readibility thanks for sharing. One of the best site in the world. It is very helpful for me. Thank You for sharing your great skills.